If you win at trial, it should be cause for celebration. However, it is possible that your opponent may appeal the case. It is also possible that you might need to file an appeal. It's good to have a trial attorney who also understands appellate work — someone who will present your case in a manner that seeks to avoid reversible error during the trial and is not afraid of a challenging appeal. At Manos Schenk, we have handled numerous appeals from the initial brief through the oral argument. We are admitted to all Florida appellate courts, the U.S. Circuit Court of Appeals for the 11th Circuit and the U.S. Supreme Court. Our appellate attorneys view the appellate process as a fine art. 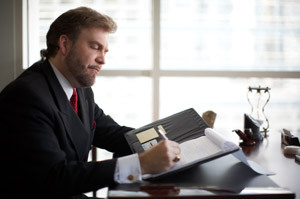 Our experienced appellate lawyers carefully craft strong arguments and articulate them in a convincing manner. Our strategy in winning an appeal is to illustrate your story and appellate issue in a way that is understandable and that the reader will relate to. "I'm a lawyer who likes to write. Writing skills are critical in successful appeals. Writing an appellate brief is like writing a piece of music — it needs to have that kind of flow to it"
Manos Schenk works on appeals for cases our law firm has handled at the trial court level, and we also welcome referrals from other lawyers whose clients are seeking appellate representation. Contact an attorney who knows how to present a complex argument in a simple and clear way. Call us at 305-341-3100 or contact us online to set up an initial consultation.